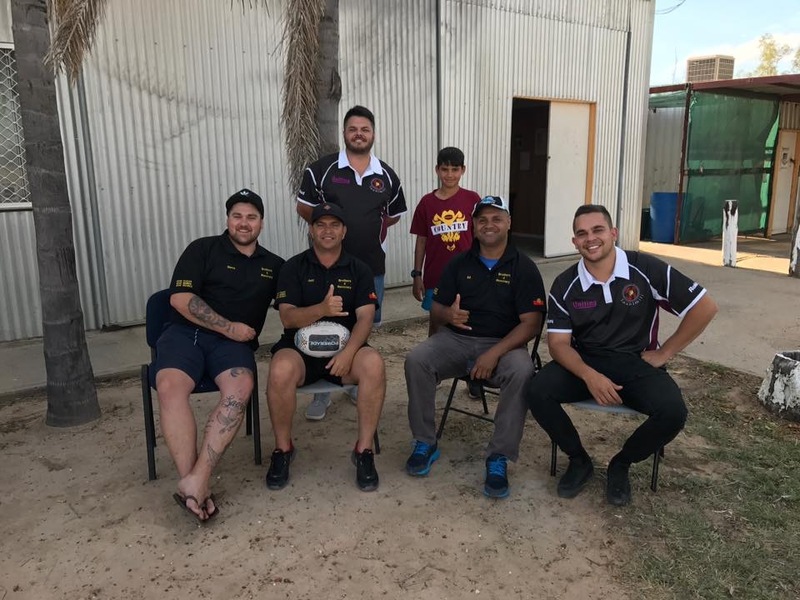 Jeff Amatto is the co-founder of Brothers 4 Recovery, an organisation that heads to communities across Australia to start conversations around the difficult topic of drug, alcohol and gambling addiction. He is this week’s Changemaker. 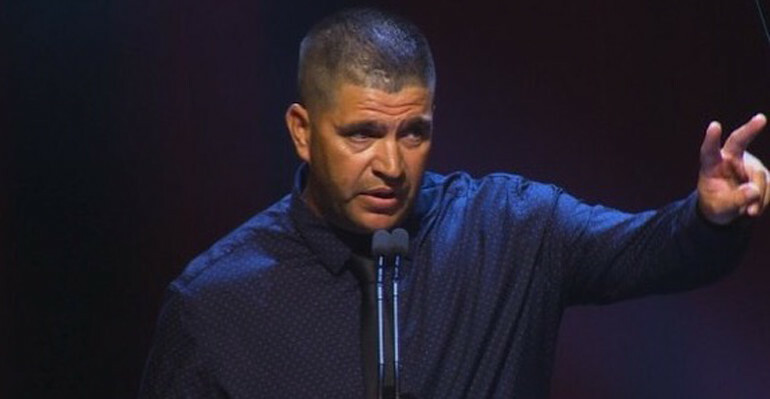 Jeff Amatto speaking at the 2017 Dreamtime Awards in Sydney. Amatto battled drug and alcohol addiction for 14 years, and spent time in prison and juvenile detention centres. He has now been sober for more than seven years, and decided he wanted to help others avoid falling into the same trap. So in early 2017 he co-founded Brothers 4 Recovery (B4R) with Steve Morris and Ed Daley. They talk about their personal experience with addiction at men’s and youth groups, high schools, community town halls and a range of national and community forums. In just nine months, B4R have covered 11,000 kilometres and spoken to more than 3,000 people across communities such as Bourke, Melville, Kempsey and Dubbo. 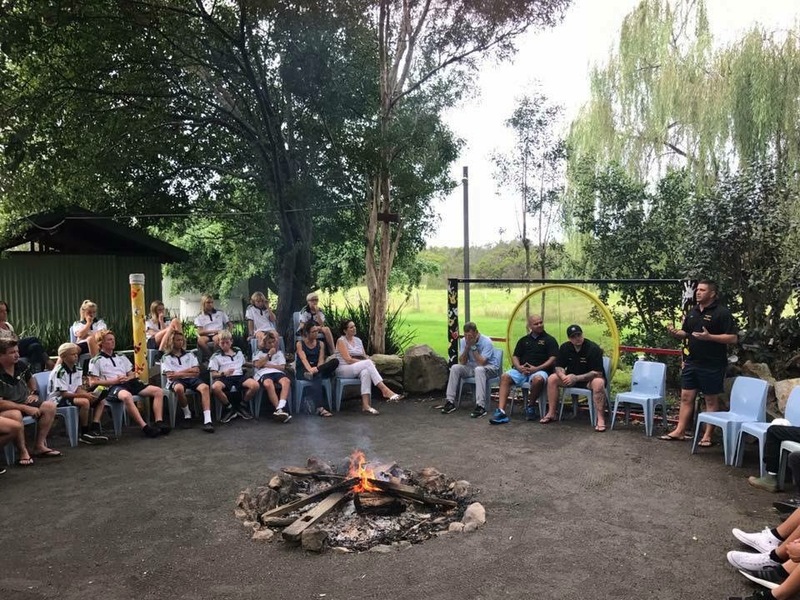 They have worked with a range of government and not-for-profit organisations including the NSW Department of Family and Community Services, Uniting, Mission Australia, Juvenile Justice NSW and a number of Aboriginal health services. Amatto recently was named Community Person of the Year at the inaugural Dreamtime Awards in Sydney, which recognise Indigenous achievement. 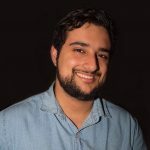 In this week’s Changemaker, Amatto talks about his work with B4R, the importance of Indigenous health and well-being and his favourite saying he uses to inspire others. How did B4R come about? It all started with myself and two other close friends of mine, a friend and a relative from back home in Wellington, New South Wales, where we grew up. And we were just sick of going back home and seeing family, good mates and the younger kids growing up, affected by drugs and alcohol. So we got together over coffee and said: “How about we just go back and tell about our experience, strength and hope?” And just hope we can let them know that there is a better life after drugs and alcohol if you’re willing to give them up. How did you overcome your own issues with addiction? The thing with my story is I don’t sugarcoat any of my experiences, and I knew I either had to go to rehab or it was back to jail. And I heard about a good rehab up on the Central Coast. It’s an Indigenous men’s rehab called the Glen Rehabilitation Centre and I gave that a go. And that was over seven and a half years ago now and I’m still on the Central Coast clean and sober. Can you tell me what you do at B4R ? We go around telling our stories to targeted kids in high schools… they need some awareness around drugs and alcohol in their schools. So we tell our life experience stories. Why do you think the work you do is so important and what do you hope the people you speak to get out of it? Just that if you have started in addiction and you’re stuck in it, there is a way out of it. Because I’m only speaking for myself. I thought it was normal because I grew up around it all my life. I thought it was a normal thing to get up in the morning and get what you needed to fix yourself up, and to go to Centrelink to put your dole form in. I thought all that stuff was normal until I came to rehab. And I was given the tools and told what you have to do. You’ve got to work. You’ve got to get out and be a normal member of society. B4R is a fairly new organisation. So what are some of your aims going forward? 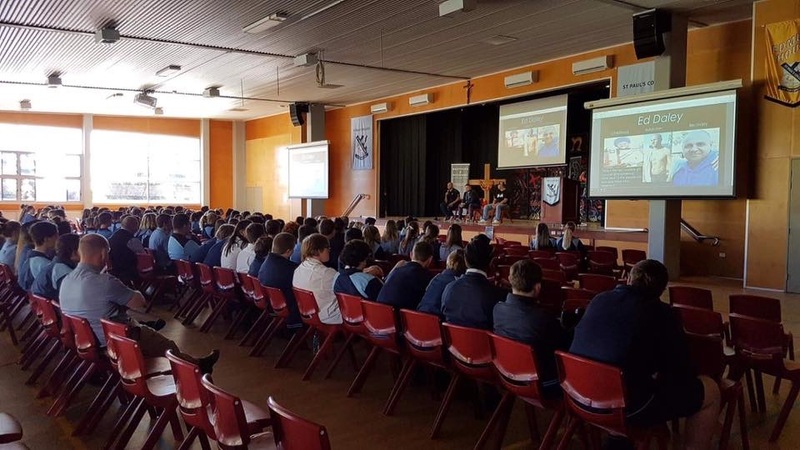 Our aim is to start educating the new generation about what drugs and alcohol do to people. And if you’re already stuck in it, I can tell you how I got out of it and that you can do the same if you want to change your life. You were recently named Community Person of the Year at the inaugural Dreamtime Awards in Sydney. How did it feel to be recognised in this way? It’s a really good feeling to start get noticed for my work and to get a bit of recognition, because we have been around a bit. We’ve travelled about 11,000 kilometres in the last six months and that’s what it’s all about. And as an Indigenous Australian, how important is Aboriginal health and well-being to B4R? This is really important for myself. I can only speak for myself as an Indigenous man, [but] drugs and alcohol is probably our number one killer and when we can get out to remote towns… there’s just not much support out there and it isn’t talked about. And just to get out there is great and as an Indigenous man, to try to help and inspire another young Indigenous man or woman is what B4R is all about. I’m a family man now. I’m a pretty kickback man these days, because I travel a lot. We’ve got a tour coming up next week – Monday to Friday – and I come home for a day and then I go again for another week. And on my days off all I want to do is just lie in front of the TV, but the missus wants me to do the lawn and do this and that. But I’m just a pretty kickback man these days. What advice would you give to a young person who is battling a drug or alcohol or gambling addiction to try and break the cycle? The big advice from me is that alcohol is the number one killer for Indigenous men and women. I just made poor decisions growing up and I believe I failed the first half of my life because I didn’t have an education. I love to say that the most important thing to go anywhere in life after school is an education. And hanging around friends that are going in the right direction. Do you have a favourite saying that inspires what you do? One of my favourite quotes I use in all my deliveries is: “The life I live today, I dreamt of that life in addiction”. When I was in alcohol and drug addiction I was always a guy that fantasised. I wished I had a car, I wished I had a house because I was homeless. I wished I could go and watch Anthony Mundine, who’s a really big role model for me. I wished I could go and watch him fight. I wished I could go to watch the South Sydney Rabbitohs in a Grand Final and all that stuff. So the life I live today, I dreamt of that life in addiction. Well done boys, I have a son on this journey at the moment, he will be going into rehab soon.